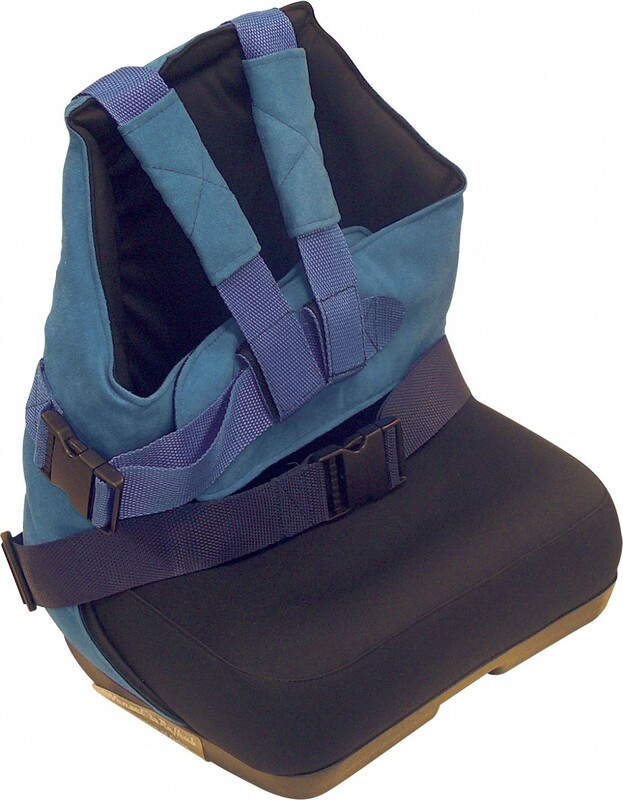 Contoured seat prevents child from sliding forward and improves seating posture. 95 deg. Seat to back angle. Double straps trunk support and belt. 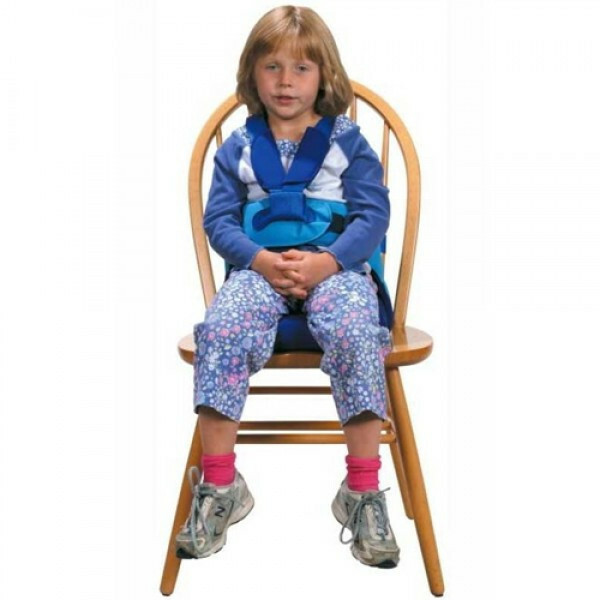 Two sets of straps secure Seat2Go to any chair. 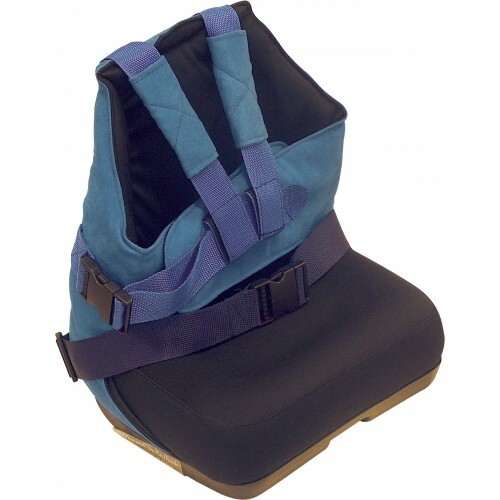 When not in use, the seat straps can be stored under the seat behind the clear flap and the back straps in the back pocket. 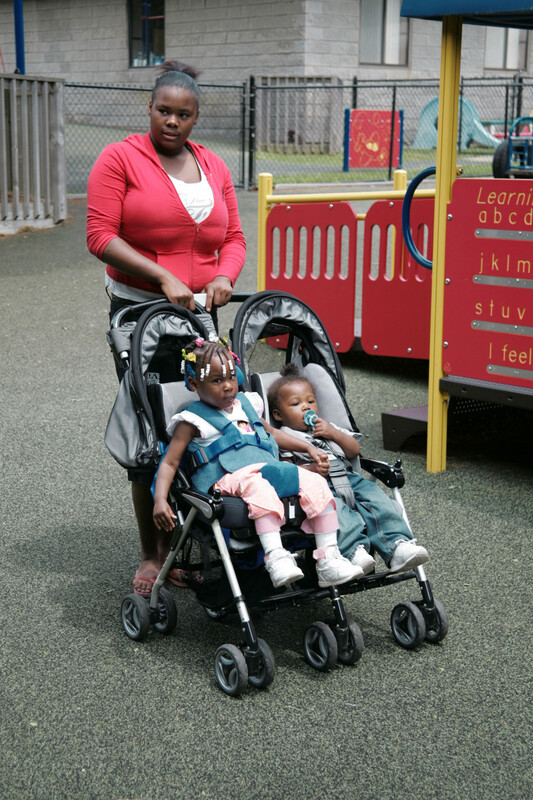 Can be used as an insert for a single or double stroller. How much does the seat weight? Item CRS 2000 weighs five pounds. The CRS 3000 weighs seven pounds. Both are washable.